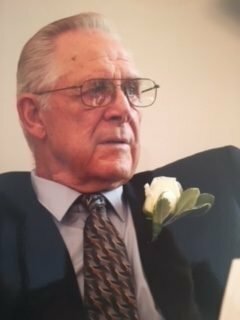 Charlie Keith Hallum, 83, of Southaven, MS, passed away on January 10, 2018. He was born January 14, 1934 in Pittsboro, MS to Raymond Charles and Emma Ethel Hallum. He was a Boilermaker for TVA until his retirement and a member of Carriage Hills Baptist Church. He loved to spend time with his family, play his guitar, travel, and camp. Charlie is survived by; daughters, Connie Meardy and her husband Eric, Kathy Windsor and her husband Jeff; brother, Buford Hallum and his wife Faye; sisters, Carolyn Parker and Dorothy Hicks; 4 grandsons, Clint Newsom and his wife Rita, Chris Newsom and his wife Robin, Keith Windsor, and Kevin Windsor and his wife Ginny; 6 great-grandchildren Cody, London, Maddie, Presley, Lola, and Jack. Services are set for Sunday, January 14, 2018. Visitation starts at 1:30 P.M. and the funeral service at 2:30 P.M. Twin Oaks Funeral Home Chapel, 290 Goodman Rd. E., Southaven, MS, 38671. Arrangements made by Twin Oaks Funeral Home (662) 349-9720.